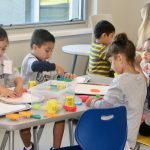 St. Augustine Preparatory Academy will primarily serve Latino students when it begins classes next month. The school also will offer community members access to a health care clinic, ESL classes and GED preparation. 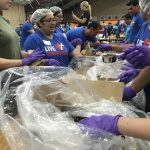 St. Anthony High School hosted a recent food-packing event to provide healthy meals for Milwaukee children. Resident groups from Clarke Square, Walker’s Point and Walker Square gathered to socialize and share ideas in a new initiative to strengthen their neighborhoods. Kenneth Walton talks about a childhood experience that greatly affected the way he sees the world. 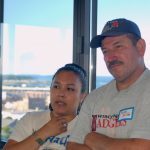 Esperanza Camarillo purchased a tax-foreclosed house on the South Side of Milwaukee and rehabilitated it using her contracting skills. 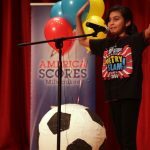 About 150 Milwaukee Public Schools students performed their poetry in front of celebrity judges at a recent poetry slam. 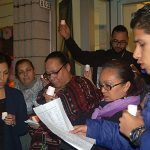 UMOS Latina Resource Center hosted a candlelight vigil where staff and supporters gathered to name the 53 women killed by domestic violence this year. 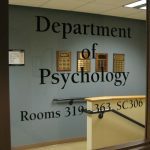 Marquette University researchers and the United Community Center joined together to offer Familia Sanas, a culturally appropriate program to treat Spanish-speaking Latino children diagnosed with ADHD. 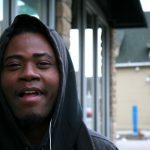 Cine Sin Fronteras, a new program of Milwaukee Film, will feature six films that touch on topics including racism, classism, xenophobia and sexuality.